I am so excited to share that I have finally made some forward progress in our upstairs family room! Seemingly like in the last house, I was able to make a lot of initial progress in our main living space, and then the room and design kind of stalled out on me. One would think that because we are only in this house for a year, I’d be quick to make decisions and get spaces done. But I’m actually finding the opposite to be true. I know I won’t have the time or interest to fix or re-do things I don’t like while we’re here, so I feel myself being much more deliberate and thoughtful in my project choices. While I don’t like taking forever to make a simple decision, sometimes the wait is worth it! With two living rooms in this split-level house, we decided early on that our big blue sectional would go downstairs and ordered the Lakewood Tufted Sofa from Home Decorators to be our upstairs sofa. 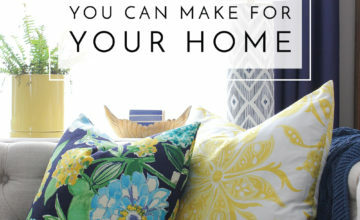 I immediately threw out the stiff, matching pillows that came with the couch, knowing I would eventually replace them with different inserts and covers. 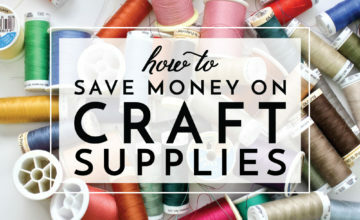 I had been putting off deciding on fabrics and patterns for the couch when one of my favorite past blog partners, PillowCubes, reached back out to me regarding another partnership! Many of you long-time readers may recall that I partnered with PillowCubes earlier this year when I decided to swap all of the poly-filled pillows in our house with feather-filled pillows. At that time, PillowCubes only dealt in bulk-style orders, which was perfect since I needed quite a few pillows all at once. However, PillowCubes recently revealed that they now offer single pillow pricing and ordering (yes! ), so all the convenience, quality and great prices are available whether you need 1 pillow or 12! This new ordering model was perfect for our situation, and I couldn’t wait to jump on board! Our new couch is pretty deep and tall, so I knew I wanted to have a variety of pillow sizes along the back to break up all the white. I started with shopping by size to view and consider all the available options. 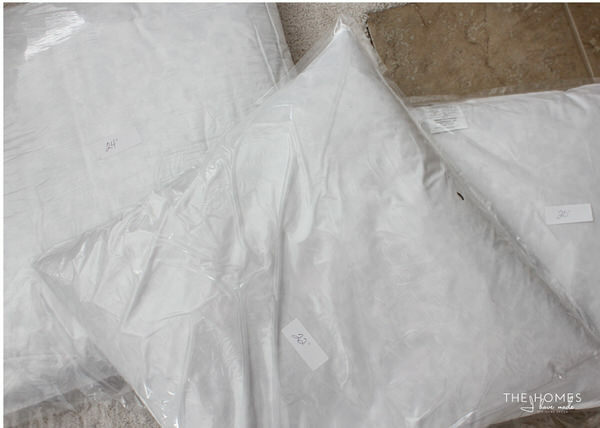 After lots of measuring, I decided on one 24″, two 22″ and one 20″ pillow (all in their 10/90 Down Feather fill) and ordered them from the comfort of my own home using their easy-to-use online system. Within days, a slender box of pillows arrived and just like before, I really couldn’t be more thrilled with the quality, size variation, and ease of the whole process. Once I slid on their pretty new covers, our whole room came to life! 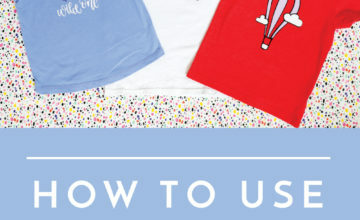 So let’s chat about those pretty new pillow covers, shall we?!? 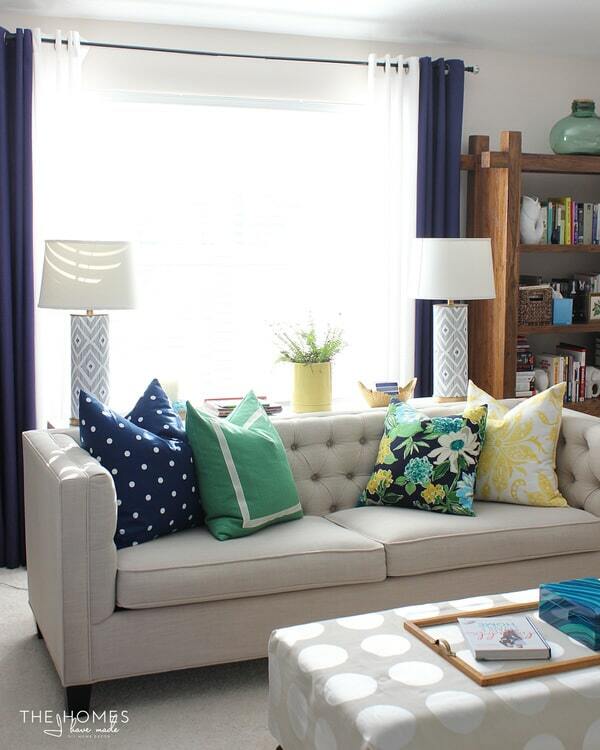 In our last house, the patterned walls and window treatments in our family room forced me to pick solid pillows for our big blue sectional. The pattern-loving gal in me was so frustrated, but every time I tried a patterned pillow, there was just too much going on. This room though, has proven to be the opposite. Although there are stripes surrounding the fireplace, the neutral walls, carpet, couch and window treatments left me with a pretty blank slate and a yearning for some color and patterns. 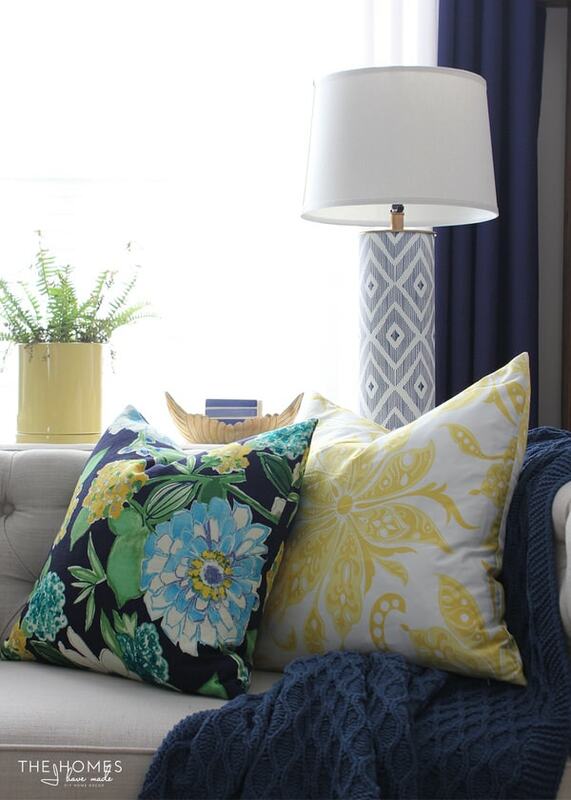 I love fabric, and it’s no secret that I tend to hoard great patterns that work within my decor scheme, so the problem was not finding fabrics, but selecting which ones to actually make into pillows! After playing around for weeks with countless options (seriously), I finally decided on a combination of four different fabrics that I think work really great together. The blue/yellow/green flower matches the curtains in the adjoining dining room (and essentially ties the two spaces together), and the blue polka dot one is made from leftover fabric from our old command center wall. The yellow floral is one I’ve been holding on to for ages and am so giddy to have finally found a place to use it (and I have another project in the works with it too!). 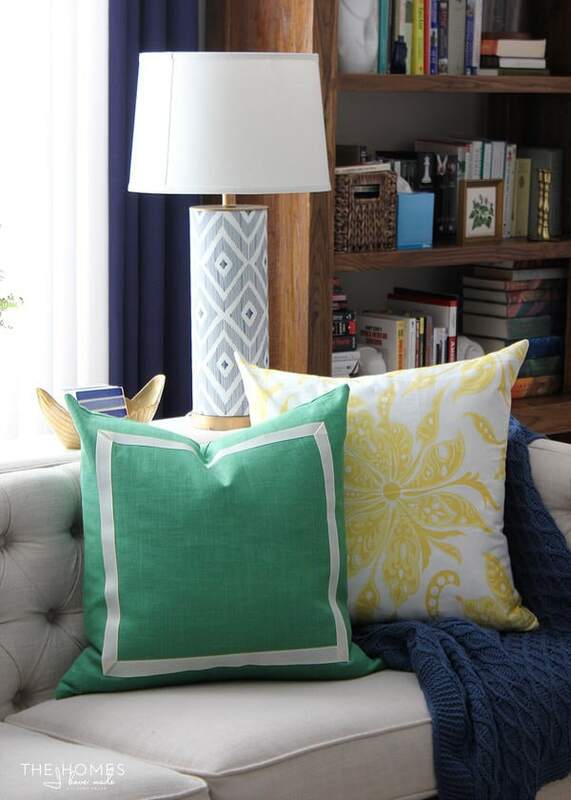 My original plan was to stick to all blues and whites in this space, but I am SO loving the pops of kelly green and canary yellow to freshen the whole space up! 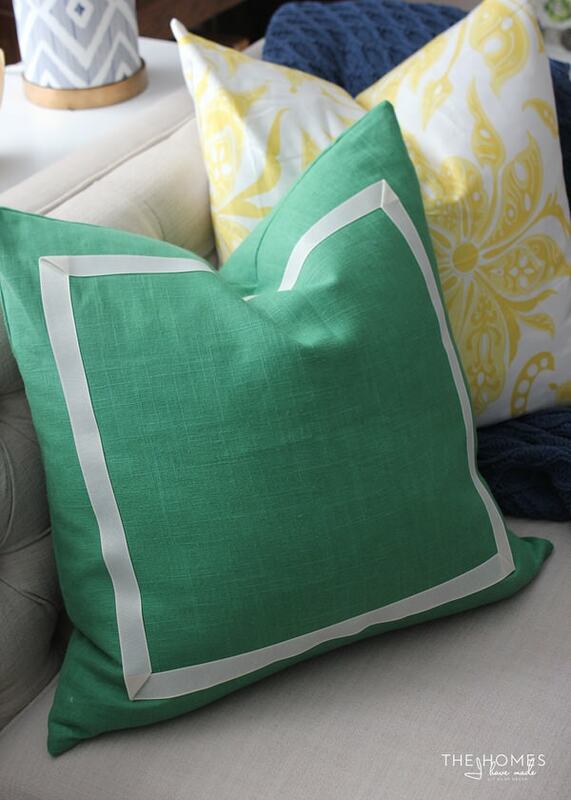 The last pillow on the couch is done in a bright kelly green linen. The color was spot on with the other elements in the space, but the solid green stood out a bit too much among all the other patterns. 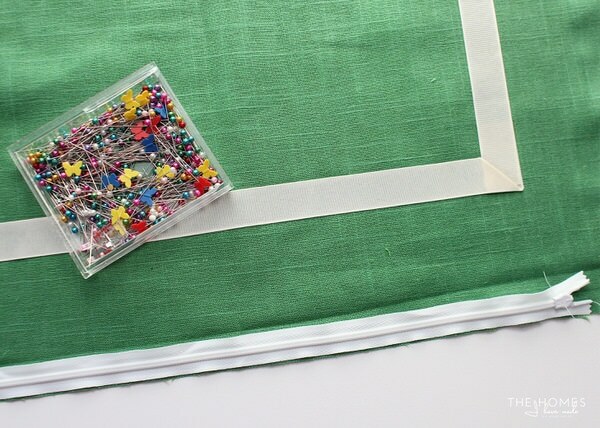 Using some ribbon I had on-hand and Ultrahold Heat’n’Bond, I was able to jazz up my plain green pillow cover in a completely easy and no-sew way! 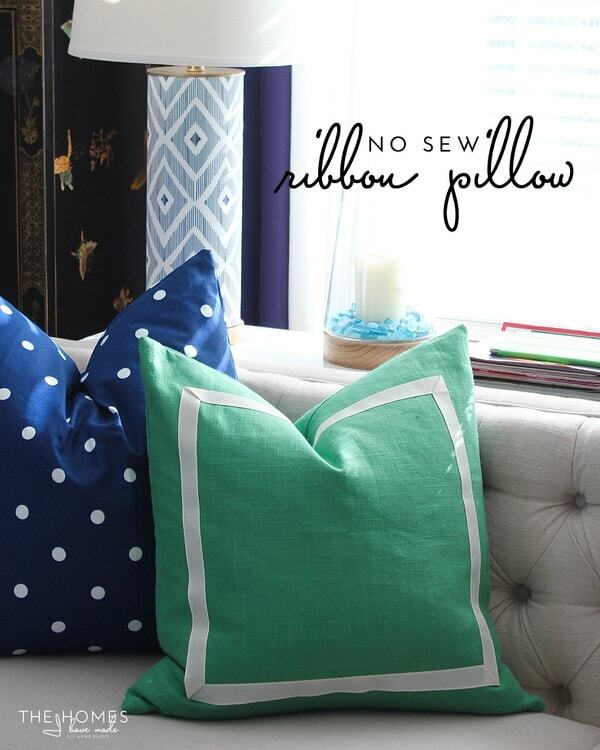 Ready to see how I made this adorably chic ribbon pillow? 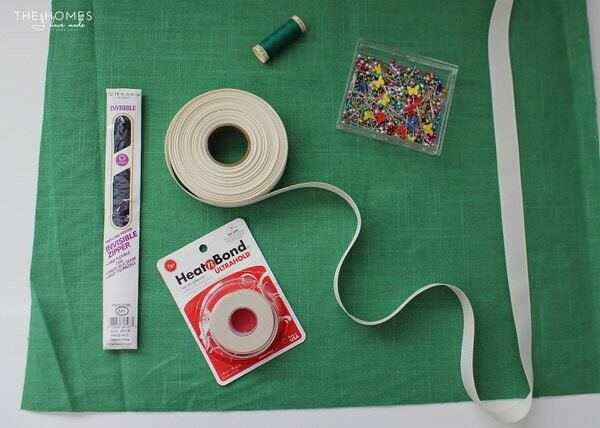 Start by cutting your fabric down into the right dimensions using a rotary cutter/ruler or a scissors. For pillow covers to fit just right, I always make them to be the exact same size as my pillow insert (you can even make them a little smaller to make your pillows appear fuller). 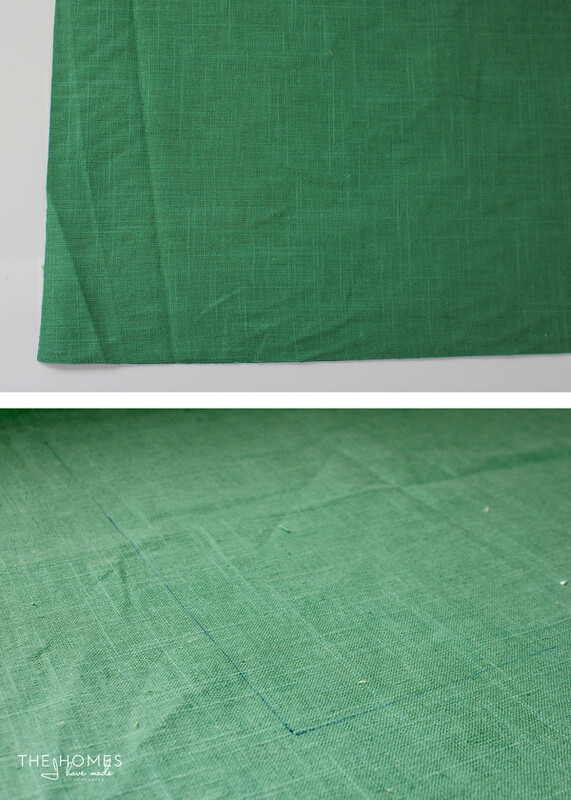 Adding 1″ for seam allowances, I cut out two 23″ squares from the green fabric for my 22″ pillow insert. Next, using an erasable pen and ruler, draw a square around the perimeter (on the right side of one of the squares), about 5″ in from each side. 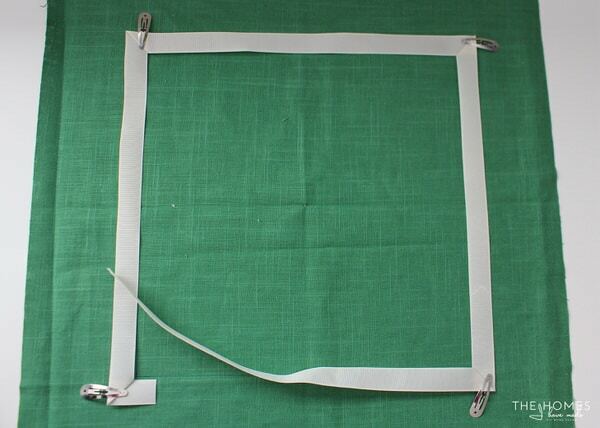 This square will serve as your guide for measuring and ironing the ribbon in place. 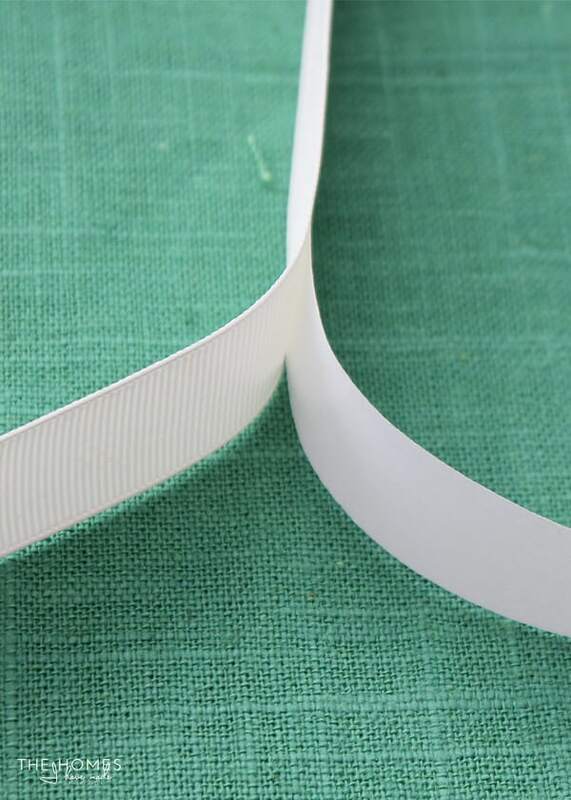 To determine how much ribbon you need, simply stretch the ribbon all the way around your drawn square and add about 6″ inches for the mitered corners. Don’t cut the ribbon into sections; you want one long piece that runs the entire way around. …and then remove the paper backing from the Heat-n-Bond side once it’s cool enough to handle. 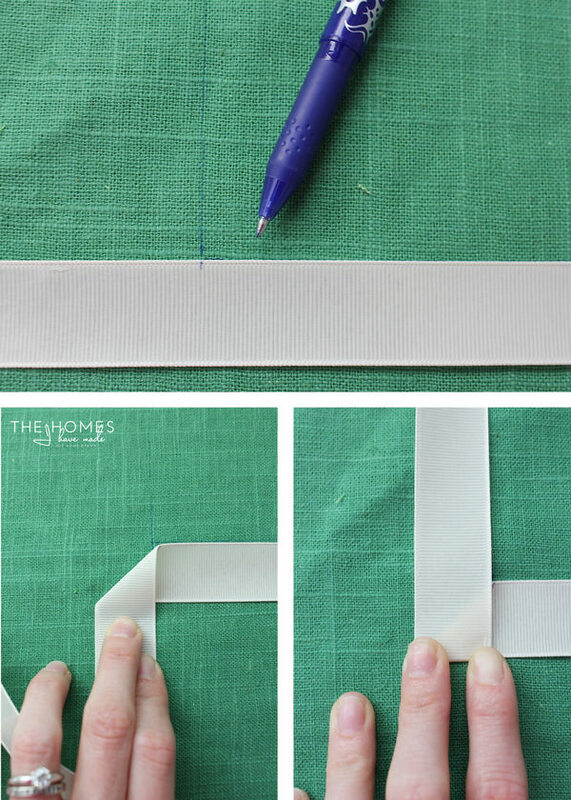 To miter the corners of the ribbon, pick a place to start (it really doesn’t matter where), and mark where the turn needs to be with your disappearing pen. Fold the ribbon 90 degrees downward (completely perpendicular to the starting line of ribbon), lining the edge of the ribbon up with your pen mark. 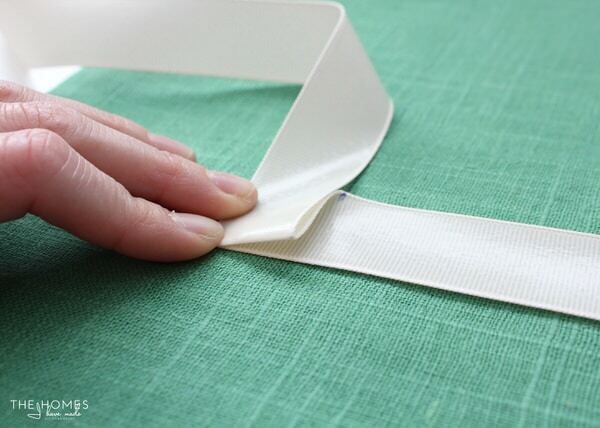 To complete the mitered corner, fold the ribbon straight up onto the triangle you just made, again lining up the edges. These two folds together create a perfect 90 degree angle in the ribbon. 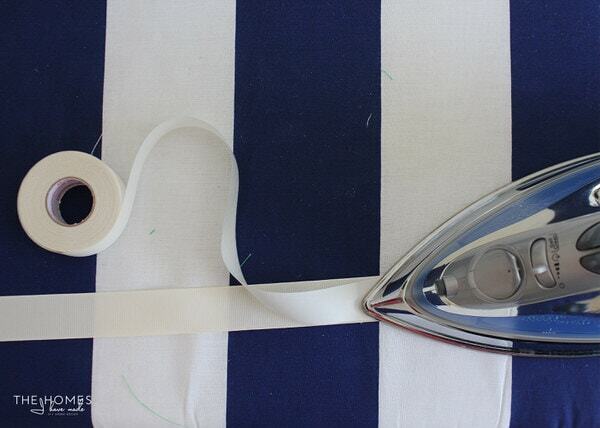 Here’s another angle how the ribbon should look once you’ve completed both folds. 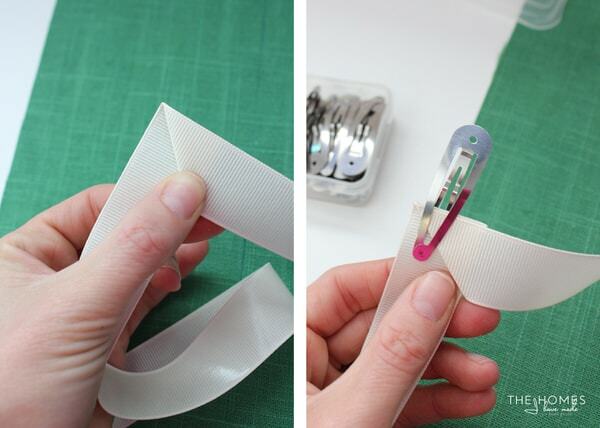 Flip the entire fold over to see your perfectly mitered corner and clip it in place using pins or clips. Continue working your way around the circle using the same steps above and the pen-drawn perimeter as your guide. 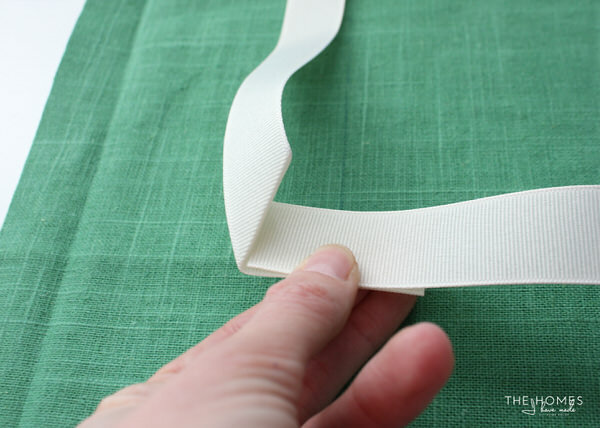 Once you get back to where you started, trim the length of ribbon to fit inside the mitered diagonal on the final corner. 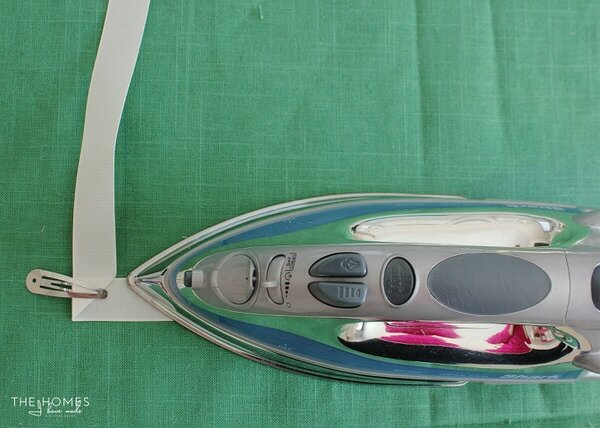 Again using a hot iron, adhere the ribbon to the pillow front, following the pen line and ensuring the ribbon is fully secured all the way around before moving on. Because of how the ribbon is folded, there is no adhesive on the underside of the mitered corner so it won’t lay flat. 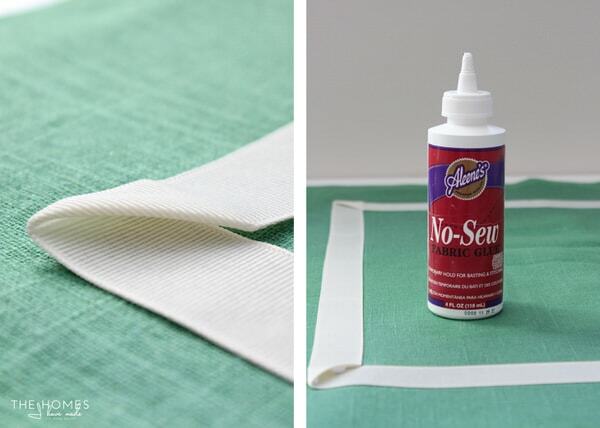 To help the corners lay flat, add some fabric glue and hold the triangle in place until the corners set. With the cover done, I slipped in the 22″ feather/down insert and tossed it on the couch with the others! The ribbon detail completely made the whole display. 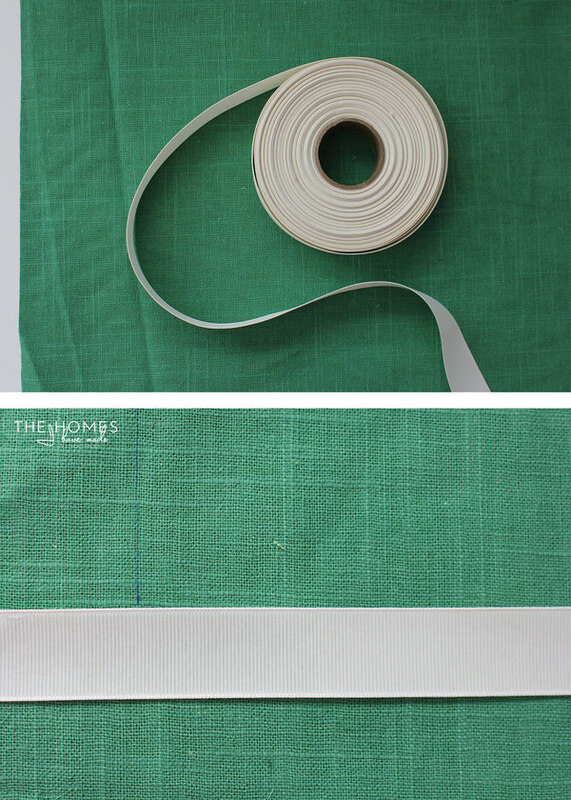 Even if you don’t want to make a pillow from scratch, this is a great way to add interest to or update a plain pillow cover you already have! I couldn’t be more thrilled with our new pillows! 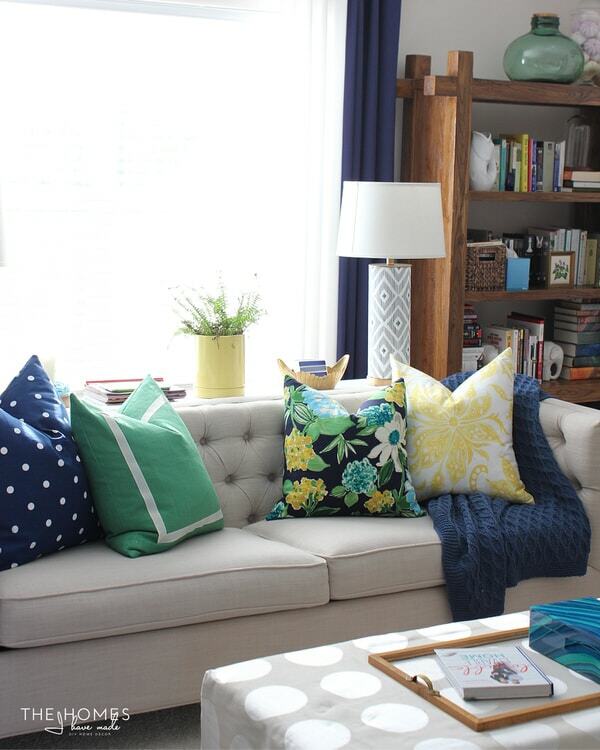 In our last house, the pillows were always a distracting and frustrating element for me, but in this space, they are the design element now driving the rest of my decisions. With these done, there is new pep in my step for this space and I’m on track to wrap up a few final projects in here! 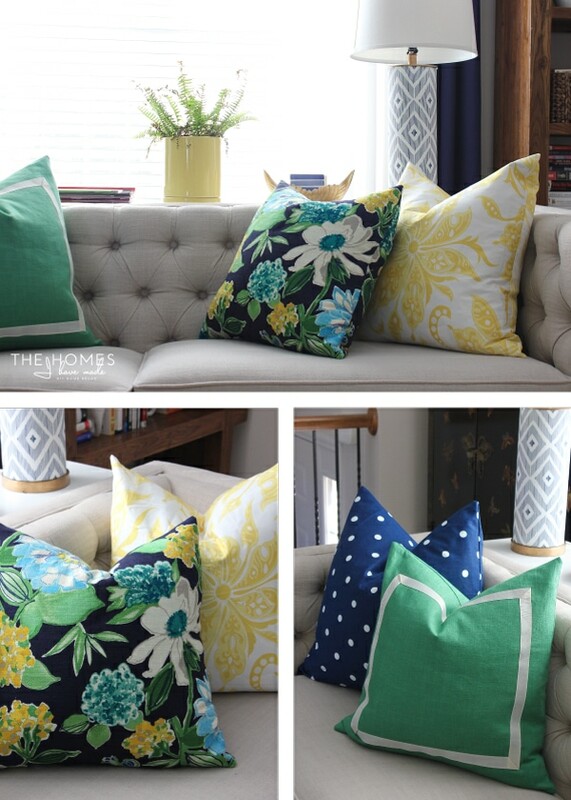 I know pillows are easily swapped for different looks, but I hate to waste precious fabric so I take my pillow decisions pretty seriously 😉 I’d love to know what you guys think of my pillow choices. See you back here Wednesday with a kitchen storage roundup you won’t want to miss! I did not receive compensation for this blog post; however PillowCubes did provide the pillow inserts for me to use and review. Please remember that I only work with brands and products I fully support and that make sense for my home, my family, and this blog. All opinions are 100% my own!